UFC middleweight champion Robert Whittaker was unable to defend his title against Kelvin Gastelum in the main event of UFC 234 on Saturday, after he suffered a collapsed bowel and an internal hernia that required emergency surgery just hours before the fight. UFC President Dana White and Whittaker's team later revealed that the injury could have been fatal if he got in the octagon. Whittaker provided an update from his hospital bed late Sunday night, as seen in his IG post embedded below. 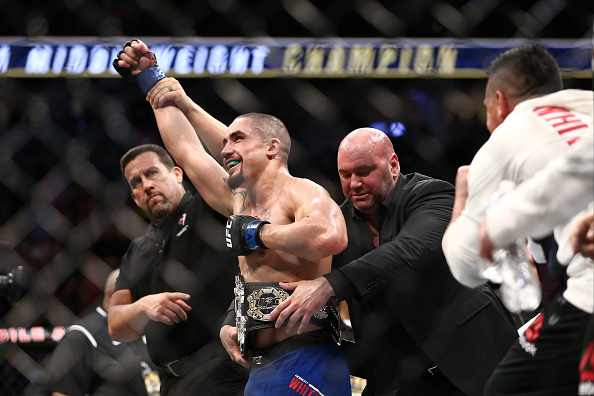 Dana White initially stated that the Whittaker's recovery time could be as little as four-to-six weeks, though it remains to be seen when the Middleweight champ will be ready to defend his belt.